“While there are no special A. A. members, many members have special needs. 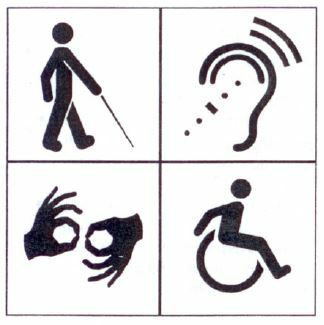 For the purpose of these guidelines, we define A. A.s with special needs as persons who are blind or visually impaired, deaf or hard of hearing; chronically ill or homebound, those who are developmentally disabled, and many others who may have less visible challenges.